At the 2013 IEEE International Symposium on Network Coding (NetCod 2013) several of the tutorials and invited talks were recorded and made available online. You can find the videos here. This entry was posted in Network Coding Talks (videos) on November 11, 2014 by mortenvp. The Institute of Network Coding (INC) has several recordings of the different talks/seminars given there. You can find the list of seminars here. 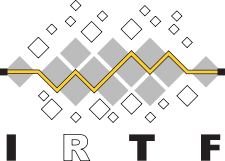 This week the IETF 91 is being held in Honolulu Hawaii and along side it several of the IRTF research groups are also meeting. I will presenting our work on Fulcrum Network Codes a the Network Coding Research Group (NWCRG) on the last day (Friday Nov. 14). You can find the agenda here. If you want to watch the talks the IETF usually has very good remote participation tools. I would recommend the Meetecho option (direct link for the NWCRG Meetecho here). This entry was posted in Colourcast, Network coding on November 10, 2014 by mortenvp. Once in a while I stumble over some cool cloud service like readthedocs.org (auto generating your documentation) or travis-ci.org (continuous integration build service), but I’ve always had the feeling that there were a ton of other cool services that I did not see. Now I found a new service called leanstack.io that tries to solve exactly that problem. Leanstack keeps track of the new developer cloud services and keeps a nice categorized inventory for you to browse if you are looking for something concrete. This entry was posted in Developement on October 30, 2014 by mortenvp. Fang, D. ; Burr, A. ; Yuan, J.
Generalized Wireless Network Coding Schemes for Multihop Two-Way Relay Channels Wang, G. ; Xiang, W. ; Yuan, J. This entry was posted in Network Coding ComSoc Papers on October 8, 2014 by mortenvp. Seong, J. ; Lee, H.
Mohapatra, A. ; Gautam, N. ; Shakkottai, S. ; Sprintson, A.
Zhang, S. ; Zhou, Q.F. ; Kai, C. ; Zhang, W.
Mohsenian-Rad, H. ; Huang, J. ; Wong, V.W.S. ; Schober, R.
Seferoglu, H. ; Markopoulou, A. This entry was posted in Network Coding ComSoc Papers on September 15, 2014 by mortenvp. Medard, M. ; Fitzek, F.H.P. ; Montpetit, M.-J. ; Rosenberg, C.
Xu, X. ; Zeng, Y. ; Guan, Y.L. Xiong, K. ; Fan, P. ; Yang, H. ; Letaief, K.B. This is a library from Steinwurf ApS free for educational and research purposes. I was part of starting Steinwurf back in 2011 and wrote the initial versions of Kodo. Kodo is a flexible C++ network coding, intended to be used for commercial applications and for research on implementation of Network Coding. The library enable researchers to implement, new codes and algorithms, perform simulations, and benchmark the coding operations on any platform where a C++ compiler is available. The library provide a multitude of build blocks and parameters that can be combined in order to create codes. To ensure ease of use several codes are predefined, and high level API’s provided. This entry was posted in Network Coding Software on September 15, 2014 by mortenvp. ncutils-java and ncutils-c: these two libraries provide slow but flexible functions to implement network coding ideas both in pure Java and C.
ncutils-codec: this library provides an implementation of random network coding over F2^8. This library is faster than the above but is less flexible. It includes native code to accelerate both encoding and decoding. This entry was posted in Network Coding Software on September 9, 2014 by mortenvp.